When Do Canada Geese Become Virginia Geese? Over the years the geese apparently stopped buying return tickets. They like it here in Virginia and they seem to rarely return to their native land. 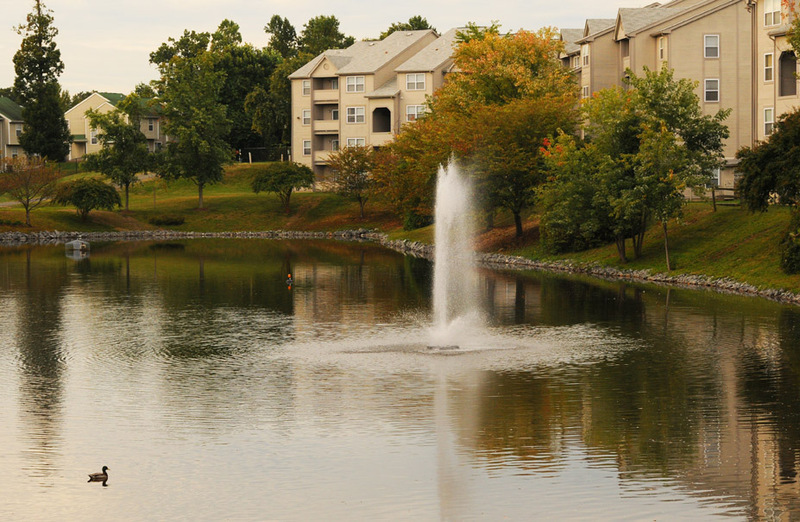 It might be the weather that draws them but it is more likely the abundance of ponds and lakes built into golf courses, shopping and residential developments in Northern Virginia over the past 40 years that keeps them in place. They populate the region in great numbers. They are everywhere. One of our biggest shopping malls has geese crossing signs throughout road that surrounds it.Local businesses have sprung up that train a small army of border collies to keep these birds from intruding on a round of golf. While it would be easy to discount the creatures because they are so commonplace, they are beautiful birds and they sure can spruce up your landscape photography. I shot these photos while photographing an apartment community in Stafford, Virginia. 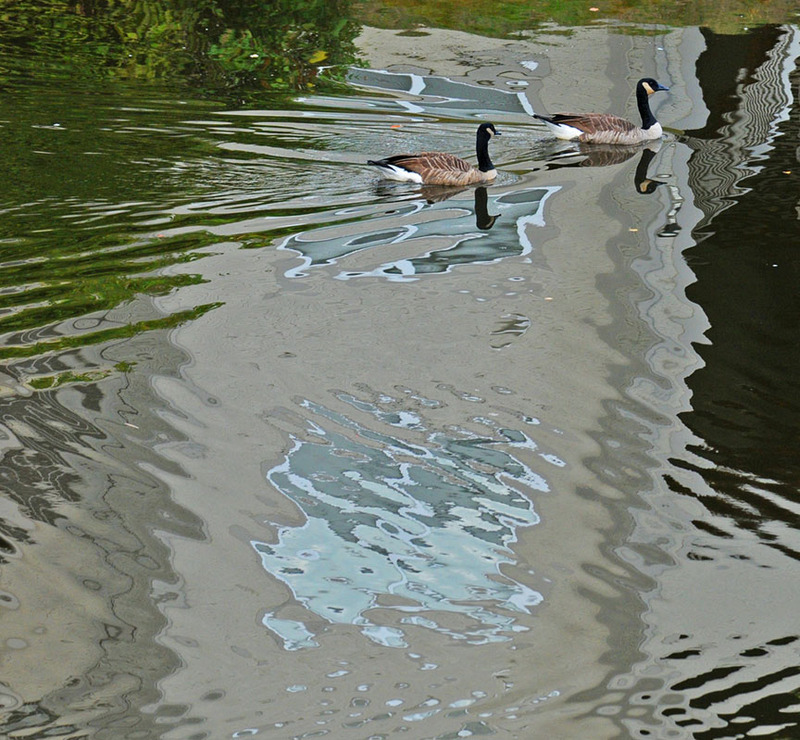 A giant pond is the landscaping centerpiece of this complex and I was photographing one of its apartment buildings reflected in the lake when these two Canada geese sauntered by. The photo (above) has a monochromatic feel to it but the the little dash’s of color add extra interest. But best of all, the coloring of the geese seem to mesh well with the buildings reflections in the lake. This property is also home to ducks which were kind enough to glide by my camera for the shot below. As far as these “Canada” geese go, how long can they stay in Virginia until people start calling them Virginia geese? Photo Tip: When photographing any type of landscape or architectural scene it is always a good goal to introduce a human or wildlife element. It gives the scene some soul and creates perspective for the viewer. Also, if you do include a moving creature, it is a good compositional idea to have the bird or human closer to the left hand side of the frame than the right, so the object is entering the scene, not about to leave it.